Late in his first term as India’s Prime Minister Narenda Modi has seen a dramatic shift in India’s economic, energy and military relationships with China and the United States. The recent developments are a massive departure from India’s position less than six months ago when India was at odds with China. Mr. Modi has been the indirect beneficiary of the Trump Administration’s failure to join the Transatlantic Trade Partnership, threats of a trade war with China, discord over Chinese interference with Freedom of Navigation patrols by the United States in the South China Sea, the absence of any U.S. diplomatic relations with Russia, and having destroyed the trustworthy leadership the world has come to expect from the United Statesbrics Commander in Chief. Once upon a time China, Russia and India appeared to have forged an unbreakable alliance. It started on July 17, 2014 with the announcement of the BRICS or New Development Bank, which also included South Africa and Brasilia as founding members. There were statements made at the time that the intention was to devalue the dollar and the Euro and speculation as to whether China would demand repayment of that portion of the American debt that it held. As if that were not enough for the Western world to process, on February 2, 2015 China, along with Russia, two of the five permanent United Nations Security Council (UNSC) members, issued a statement supporting India’s longstanding bid to become one of the five permanent UNSC members. Based on its large population, India has long felt deprived of recognition as a global leader in any domain, most acutely in the United Nations. India’s population is 17.4 percent of the global population. Combined with China, the two countries represent 37.4 percent of the world’s population. India’s population is 1,296,834,042, just below China’s population of 1,384,688,986, both of which are four times more populated than the United States, which has a population of 329,256,465. Assuming significant restructuring of the United Nations Charter by the General Assembly and the UNSC, this would mean that India would usurp either Great Britain, France or the United States as a permanent UNSC member. These plans unraveled in 2017. Following a year of strained diplomatic relations, including a military stand-off at the shared Doklam border, and a growing Chinese threat in the Indian Ocean and the Bay of Bengal, China and India are once again doing business together – and on a very large scale. Just days after a high-level U.S. summit with Mr. Modi, the delegation headed to Beijing brandishing threats of stiff tariffs on Chinese exports to America signaling the beginning of a trade war with strategic implications extending well beyond the China–United States bilateral relationship. So President Xi Jinping played his trump card and immediately began forging relations with India and other countries, including one of America’s strongest allies – Japan. While India and China are both considered developing countries by the World Bank, China has parlayed its economic resources into a series of initiatives extending beyond Asia on into Europe, including the Asian Infrastructure Investment Bank and the One Belt, One Road initiative to link China with countries as far afield as Europe. China is now the second-largest economy in the world by GDP and poised to overtake the United States as the largest economy over the next few years. 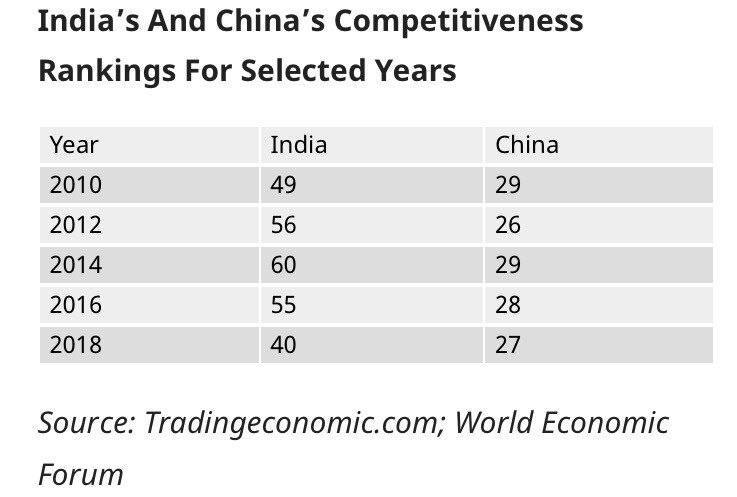 Major credit agencies, give China a near perfect score — close to that of the United States — and India a near junk score. Conversely, India is dependent upon outside funding in order to develop a sustainable infrastructure, including jobs, housing and security. At 67% of its GDP, India’s gross general government debt is higher than that of most other major Asian economies, save Japan. India is the largest recipient of loans from the World Bank, amounting to $102.1 billion, between 1945 and 2015. Slightly less than half of the workforce is in agriculture, but services are the major source of economic growth, accounting for nearly two-thirds of India’s output but employing less than one-third of its labor force. India has capitalized on its large educated English-speaking population to become a major exporter of information technology services, business outsourcing services, and software workers. Nevertheless, per capita income remains below the world average. India’s economic growth slowed in 2011 because of a decline in investment caused by high interest rates, rising inflation, and investor pessimism about the government’s commitment to further economic reforms and about slow world growth. Rising macroeconomic imbalances in India and improving economic conditions in Western countries led investors to shift capital away from India, prompting a sharp depreciation of the rupee through 2016. Despite its relatively passive nature, India is a global military power having joined the U.S. and China as one of the world’s five biggest military spenders. New Delhi’s defense spending rose by 5.5 percent to $63.9 billion in 2017 surpassing France, according to a May 2018 the Stockholm International Peace Research Institute report. However, most of its budget is spent on salaries and pensions, not on acquiring weapons or technology. 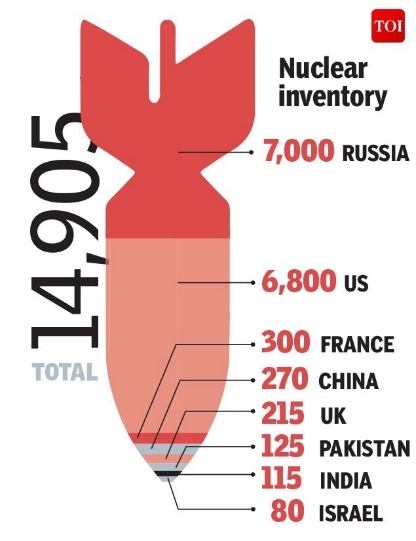 The one weapon India possesses are nuclear weapons[i]. A state-run Chinese bank, the ICBC Credit Suisse Asset Management Co., announced a public offering of the China’s first India-dedicated publicly offered investment fund, saying the Indian market offers an excellent opportunity for Chinese investors due to the prospects of double-digit growth. According to Chinese state media, “The fund, named the Industrial and Commercial Bank of China (ICBC) Credit Suisse India Market Fund, will “invest in exchange-traded funds listed on more than 20 exchanges in Europe and the US that are based on the Indian market”[i]. This is precisely the financial boost India requires to get recently announced initiatives off the ground. India has unveiled a series of programs to give a boost to infrastructure development across the country, with a focus on 100 “Smart Cities”. This involves significant improvements to its weak infrastructure, including the energy sector, all facets of its economic corridors, and constructing more airports and ports. All totaled, if realized, this could tremendously boost in India’s gross domestic product. As Mr. Modi’s internal approval ratings have sank to a new low a year before elections, the recent developments, especially if the populace sees tangible progress, may be enough to keep Mr. Modi in office. However, the 2018 Forbes list of the 10 most powerful people in the world now ranks Mr. Modi as ninth. President Xi Jinping has overtaken Russian Federation President Vladimir Putin as the most influential person. President Donald Trump ranked third. In return, China benefits in countless ways. First, India controls China’s maritime access to the juncture of the Bay of Bengal and Andaman Sea near the Malacca Strait, part of India’s Exclusive Economic Zone under UNCLOS, through which more than 80% of Chinese fuel supplies pass. Now, rather than having to neutralize India by encircling it with its Asian allies: Pakistan, Burma, Nepal, Sri Lanka, and the Maldives, it is has another partner to the detriment of the United States and even Russia. Cynthia M. Lardner is an American journalist living in The Hague. She is a contributor to Tuck Magazine and contributing editor to E – The Magazine for Today’s Executive Female Executive, and the International Policy Digest. Her blogs are read in over 37 countries. 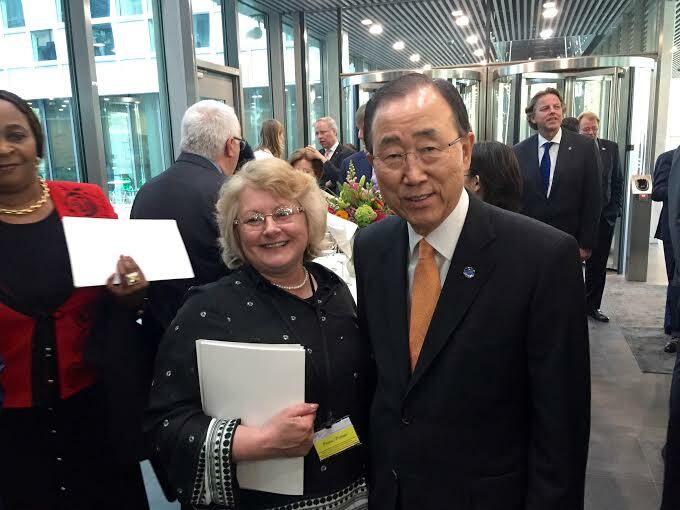 As a thought leader in the area of foreign policy, her philosophy is to collectively influence conscious global thinking through her unique style of telling entire stories. Ms. Lardner holds degrees in journalism, law, and counseling psychology. [i] It was announced that India had purchased a nuclear submarine from Russia on May 16, 2018 potentially subjecting it to U.S. sanctions under the 2017 Countering Adversaries Through Sanctions Act, which would only strengthen the developing alliance with China and its partners. [i] ICBC’s lending practices questionable considering that just days later Pakistan contracted for another commercial loan of $500 million from the ICBC to shore up its depleting reserves. In January, the country took a total of $704 million worth of new loans, taking foreign borrowings to $6.6 billion in just seven months of this fiscal year. China is Pakistan’s largest lender. This follows the January 4, 2018 U.S. State Department announcement that the U.S. was freezing most military aid to Pakistan. While declining to specify the exact amount, analysts believe the suspension could freeze up to $1.3 billion in aid because it was aiding powerful anti-US militant groups in Afghanistan. Marlow, Lain, “India Joins World’s Top Five Defense Spenders, Surpassing France”, May 2, 2018, as found on the www at https://www.bloomberg.com/news/articles/2018-05-01/china-tensions-push-india-into-world-s-top-five-defense-spenders?utm_campaign=pol&utm_medium=bd&utm_source=applenews. 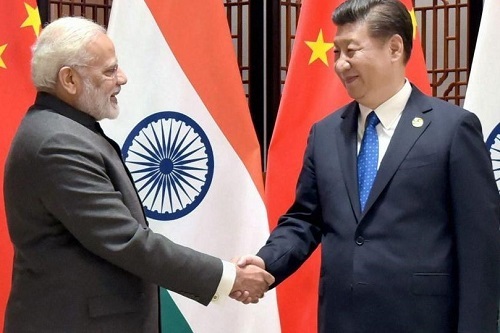 “Modi and Xi reset China–India relations”, May 14, 2018, East Asian Forum, as found on the www at http://www.eastasiaforum.org/2018/05/14/modi-and-xi-reset-china-india-relations/. Singh, Arun, “Periscope: Trump, Putin, Modi & New Great Game”, May 14, 2018, as found on the www at https://deccanchronicle.com/opinion/op-ed/120518/periscope-trump-xi-putin-modi-new-great-game.html. The World Bank in India, World Bank, as found on the www at http://www.worldbank.org/en/country/india/overview#2. “The World’s Most Powerful People”, May 2018, Forbes, as found on the www at https://www.forbes.com/powerful-people/list/#tab:overall. Weilen, Lieu, “Indian stock market offers diversification opportunity for Chinese investors”, May 13, 2018, as found on the www at http://www.globaltimes.cn/content/1102025.shtml.